A fun way to practice contractions: take egg cartons (I used the large 30 egg size, but any size will do) and write contractions on them. 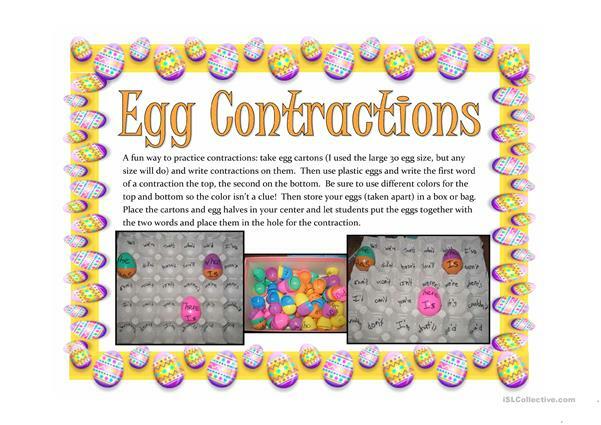 Then use plastic eggs and write the first word of a contraction the top, the second on the bottom. Be sure to use different colors for the top and bottom so the color isn’t a clue! Then store your eggs (taken apart) in a box or bag. Place the cartons and egg halves in your center and let students put the eggs together with the two words and place them in the hole for the contraction. The present downloadable teaching material is intended for elementary school students at Beginner (pre-A1) and Elementary (A1) level. It is great for practising Contractions (shortened forms, e.g. don't, aren't, etc.) 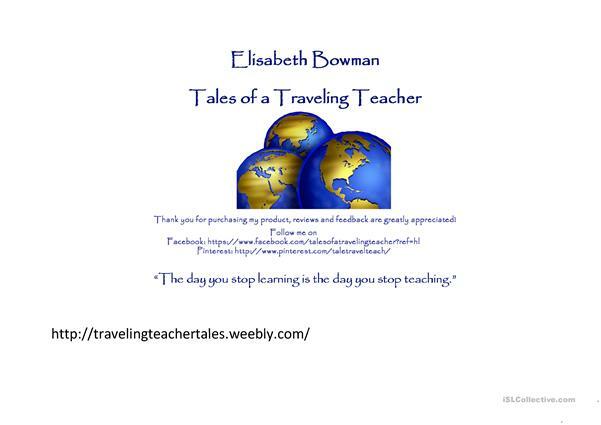 in English, and is excellent for improving your learners' Spelling and Writing skills.